How do ionic membrane dehumidifiers compare? High levels of water vapor or moisture can lead to extensive damage of natural materials, electronics, optics and many other equipment and products so how do ionic membrane dehumidifiers compare with the alternatives? If you think about it, removing water vapor is a lifetime’s work and the solution need to be efficient and cost effective. 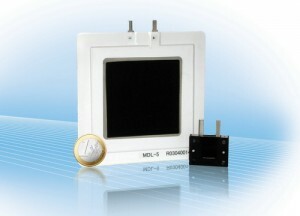 The two most popular methods of removing moisture from enclosures and small spaces are absorption and condensation. Other popular methods include heat rods and air purging: all have advantages and disadvantages. Typically, absorption uses a porous envelop containing hygroscopic material-such as silica gel-that absorbs moisture from the atmosphere. It is cheap, compact, and easy to use, being non-toxic, non-flammable and chemically non-reactive. It is effective provided the hygroscopic material is regularly recharged or replaced. Hygroscopic material needs to be part of a regular maintenance program as it is difficult to predict the effectiveness of the material over time. The condensation method involves converting the water vapor into liquid water by cooling and condensing it. Domestic and commercial dehumidifiers use compressors to achieve this in a process similar to that of a refrigerator. They tend to be large and expensive to run, but remove high volumes of water. Another type uses an electronic thermodynamic cooler (Peltier heat pump) to condense the water vapor into moisture. They have no moving parts; are reliable and silent, and their characteristics make them suitable for smaller volumes. All condensing dehumidifiers produce liquid water as a by product. This needs to be removed using a drain or storage container. Storage containers need to be emptied regularly as the dehumidifiers are designed to stop when they are full. Drainage systems are more convenient but involve additional piping. Drainage systems need to be cleaned and serviced regularly to ensure adequate capacity and avoid mold and blockages. For industrial and commercial applications, regular maintenance adds significantly to the lifetime cost of ownership of the system. Ionic membrane dehumidifiers offer a new alternative to dehumidifying enclosures up to 8³ metres, and unlike other systems, no liquid water is involved in the drying process. Called Rosahl, the membrane dehumidifiers work by electrolysis to remove water vapor at a molecular level: they work like an ionic pump. They require no maintenance; are silent and vibration free; have a low running cost, are very compact and have a long service life. They will operate at temperatures in the range -10 to 50°C (14 to 122°F) and can dry to under 10% RH if required.